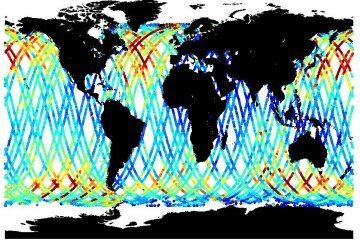 Description Adaptive Leading Edge Subwaveform (ALES) provides coastal and open ocean altimetric measurements by applying a specialized retracker to Jason-2 data. This is an along-track dataset that takes takes the high frequency SGDR data and retracks it to remove the waveforms that show land contamination. Therefore these data are provided at 20 Hz. It is similar to the Jason-2 SGDR data except that it also includes ALES variables for the range, significant wave height and sigma0 so that the user can calculate the retracked SSHA. Description:	The TRSR isa an advanced codeless sixteen-channel Global Positioning System (GPS) receiver developed bye the Jet Propulsion Laboratory (JPL). The on-board package is comprised of dual redunedant TRSR units and choke ring antennae. The GPS data are intended to provide supplementary positioning data in support of the POD function and/or to improve gravity field models. Citation Passaro, M., P. Cipollini, S. Vignudelli, G. D. Quartly, and H. M. Snaith. 2015. ALES Jason-2 Coastal Altimetry Version 1. Ver. 1. PO.DAAC,	CA,	USA. Dataset accessed [YYYY-MM-DD].